If you have a chronic, invisible illness you more than likely have heard of or even refer to yourself as a “spoonie”. If you haven’t heard the term “spoonie”, it came from Christine Miserandino’s The Spoon Theory as a metaphor for showing healthy people what it’s like to be chronically ill. The basic idea is that everyone starts the day off with a certain amount of spoons, or units of energy, but people who are ill use their spoons faster than those who are healthy. For example, it may take a healthy person one spoon to get ready in the morning but it may take a sick person five spoons. I first read Christine’s “Spoon Theory” in 2004 and it came at a time when I really needed it most. I had been diagnosed with Rheumatoid Arthritis in 2003, leaving me with chronic pain, swelling and exhausted. I was losing a lot of friends and the respect of many family members, especially when I told them I couldn’t visit them for Christmas because I was just too sick. There responses ranged from “But young people don’t get arthritis” to “You’re too pretty to be as sick as you say you are.” Losing the respect of family and friends had me in a deep depression and I felt very alone. At the time, Christine’s But You Don’t Look Sick website has a forum where I literally came upon thousands of people who were just like me and who were facing the same issues! Christine’s work became a lifeline for me and still does to this day. But now, the woman who has changed lives for so many chronically ill people needs some help of her own. Although I have known Christine to be very sick in the past, she always seemed able to accomplish anything and be strong for all of us. To say that Christine is having the toughest year of her life is an understatement. In January of this year, she gave birth to a stillborn baby girl which was also life-threatening to her. Christine has been undergoing extensive jaw and dental surgery. The 20 plus years of steroids for her Lupus have wreaked havoc on her mouth. In addition, Christine throughout her pregnancy was throwing up five to seven times a day. She also has a disease which leaves her with little saliva in her mouth. The effect of all of these things have left her needing six teeth extracted, four root canals and filings. Now her teeth are literally falling out of her mouth. Her physical and dental issues have left her with a mountain of medical bills with more to come. Her parents, who have supported her throughout her life, have maxed out their credit cards. I know Christine to be a very proud and private person and I know she would not be doing this unless she were in extreme need. A friend of Christine has created a Go Fund Me site for her with the title “Help Christine Smile”. 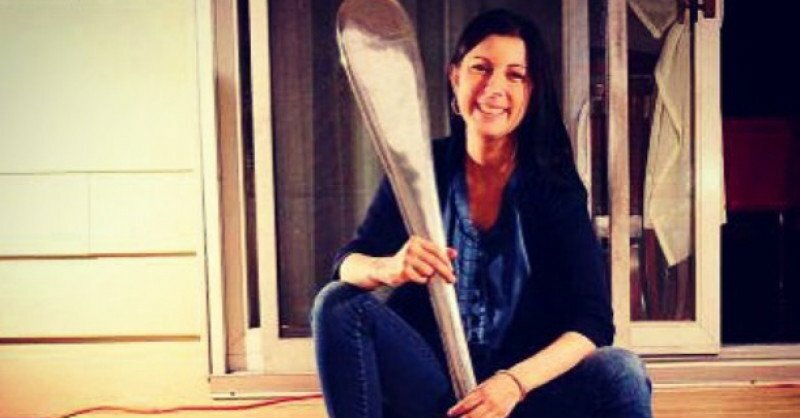 If you have been touched by “But You Don’t Look Sick”, “The Spoon Theory”, have the words “spoon” or “spoonie” in your blog or call yourself a spoonie, I urge you to donate whatever you can to Christine’s campaign. I realize that a lot of spoonies have their own medical bills or live on disability but even as little as $5 can go a long way. Millions of people know of “The Spoon Theory” and “But You Don’t Look Sick” and when you think about it, reaching her goal should be an easy one. If you are a chronic illness blogger, I ask that you also post for Christine. Post, tweet, retweet, share on Facebook, etc. so everyone can know that for the first time in her life, Christine is asking for OUR help. If you do not have a chronic illness, I also ask that you thank God you are healthy and donate whatever you can to the woman who has changed so many sick people’s lives. Truthfully, I’ve not been able to help yet until I get my SSDI on Monday, I’m counting down the days as I often do. If you can’t donate and Christine has touched your life in any way, why not help by sharing this post or tweeting? You’re in my prayers nightly, Blair. Not to wish anything on you, Lucy, but you are so right. I was very successful before I became ill and have lost everything. No one knows what it’s like until it happens to you. Christine really helped me in my times of need and now I hope to return the favor. Thanks for stopping by. When Christine lost her daughter, Catherine, her pain was so palpable, it almost broke her. I don’t know why bad things happen to good people either but I know how much she has helped me and I’m doing whatever I can to help her. Glad you stopped by. Thanks, Catherine! I’m glad you can be of support to Christine during this time. And thanks for stopping by! There’s also a badge you can put on your blog, which I have to do in the next couple of days. I will blog on it and share the link to get the badge. Thanks for reading, Theresa. Anything you can donate would be helpful, and if you can’t donate, share this blog!